As a sucker for productivity tools, I am always looking around, reading reviews and trying out new native and web applications to manage my day to day life – personal or work wise. You might already be using some that you love or deem useful, but I would like to share 4 tools I use everyday for my personal life and Hex. MobileMe is Mac & PC friendly! If you have several computers at home, eg. 1 desktop computer, 1 laptop to work on the go, 1 iPhone or iPod Touch, you definitely need your data to be synced across all devices, and nothing does it best like MobileMe. 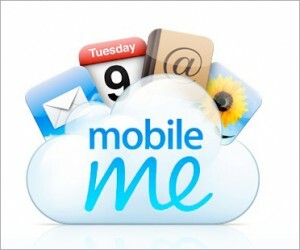 MobileMe not only syncs but pushes data from your calendar, contacts, emails, bookmarks and more to all your devices. If you like push technology and if you’re running a small business run by 2 person for example, it’s not practical to pay a hefty price monthly for Microsoft Exchange or Blackberry in my opinion. 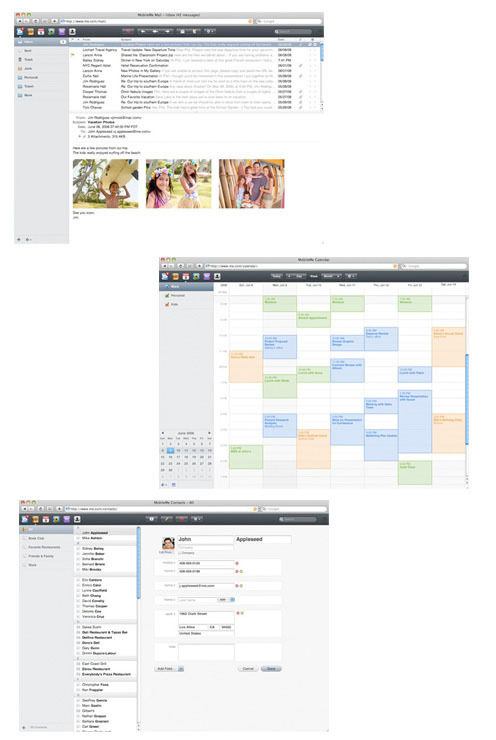 MobileMe only costs US$99/year for Single User and US$149/year for Family Pack to enable you to have push email, calendar and contacts to your iPhone and your other machines. You will also get a full suite of web applications allowing you to manage your emails, calendars, contacts, photos and files. The web app really looks and works like a desktop application which is really an awesome experience. Money lets you keep track of your earnings and expenses, invoices and bills. What I really like about this native application is that it really just gives me what I need without being bloated with extra features that I don’t need. Very easy to use, once installed it gets you up and running in no time. This application lets me see my overall finance situation, income, my invoices (invoiced, uninvoiced, overdue), and expenses all at a glance. If you find creating invoices day to day a chore, you can also create invoices within this application, but unfortunately you can’t customize the look of your invoices like you want them to although you can select from a few pre-designed templates. But that’s besides the point, the ultimate purpose using this application is such that I can make financial decisions very quickly, keeping track of invoices sent to clients and filing income taxes at the end of the year. 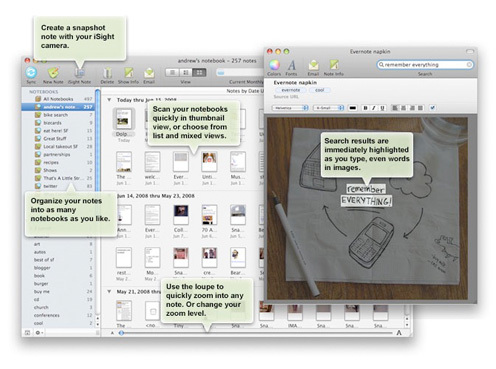 There is also a sync feature to backup and revert your data to MobileMe, so that you can see exactly the same data on different computers. Money costs US$39 to own the program. In order to reduce stress, you need all your tasks, big or small, immediate or future, to be recorded instead of having them hanging around your head. Things lets you do just that. It comes with a desktop and iPhone app available at the iTunes store. You can sync both apps with both platforms wirelessly. This to-do list application lets you create tasks which you can file under “Today” (tasks you need to complete today), “Scheduled (tasks you need to complete in the future)”, “Someday (tasks you might want to consider completing) and “Next (all the task you need to complete after Today’s task, including scheduled tasks). You can even create folders under “Projects” where you can list individual tasks under each of your projects, be it your clients projects, personal projects, or even shopping lists! You have to try using it to get the flow going, it really does makes me more productive and stress relieved especially when I have a tad too many things to handle at once. Never underestimate the act of ticking off your tasks as “done” each time you complete them, it does makes me feel more accomplished of all the things I have at hand. Things is now available as a free beta download for your desktop, it’s still undergoing development and once it’s done you’ll have to download the full program at a US$49. You can get US$10 discount if you sign up for their newsletter now. The iPhone app is available at the iTunes store at US$9.99. This free notes taking application, Evernote, stores all your notes in the “cloud” which means you can access your notes via a web interface, free desktop application or the iPhone available for free download via iTunes. Evernote is Mac & PC compatible. 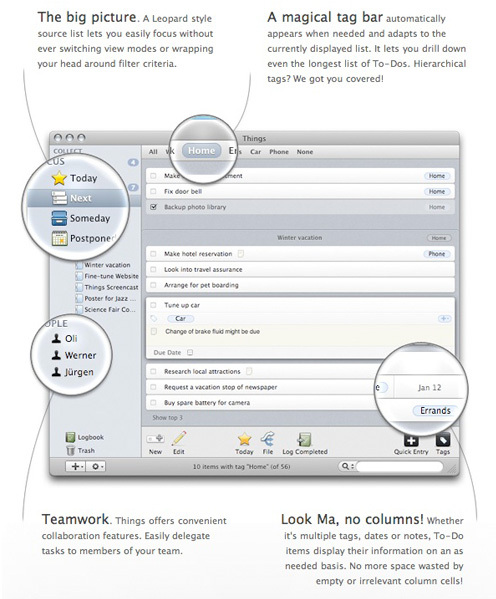 You can take regular text notes which you can format the text freely using the interface on any platform, take photo notes using either your iSight/Webcam/iPhone Camera, or voice notes using your iPhone’s built in microphone. Evernote also works on Windows Mobile devices. Notes created or edited will be synced throughout all your devices which is a very important aspect. 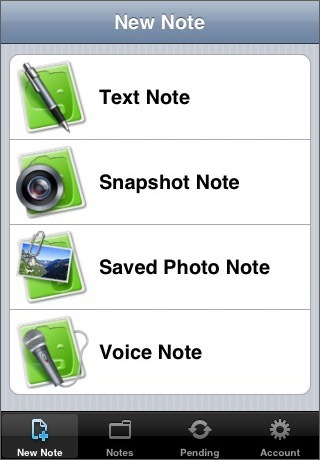 You can also create multiple so called “Notebooks” to sort your notes into different categories. Evernote gives you 40MB of monthly upload allowance. You can pay US$5/Month or US$45/Year to go Premium and get 500MB of monthly upload allowance. Hex is an interactive web design boutique that creates beautiful and well executed interactive websites. As you are interested in productivity tools, you may try http://task2gather.com service. It is worth using not only as personal to-do list but as a powerful collaboration tool. The main difference of Task2Gather from other services is the ability to organize and look through your to-do’s not only as a list but also as a tree. What is more you can share seperate projects with separate people and discuss each task straight in the program. Sure Olga. Thanks for introducing your product. 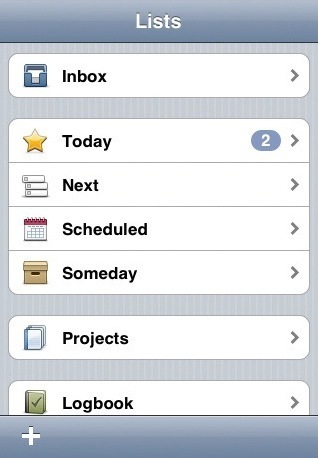 Anyways we also have a online productivity service still under development which I can’t wait to announce. New year, new app - Cranked! We are on a roll, our third app! Wishing you a bright and joyous new year!